Great for keeping your hands free for holding a hot dog, rooting for your favorite sports team, and more! This is the Bluetooth version for drinking soda. This hands free hat will allow you to drink your soda, or perhaps an adult beverage, and keep your hands free for important things like playing video games, holding a hot dog, or rooting for your favorite sports team. 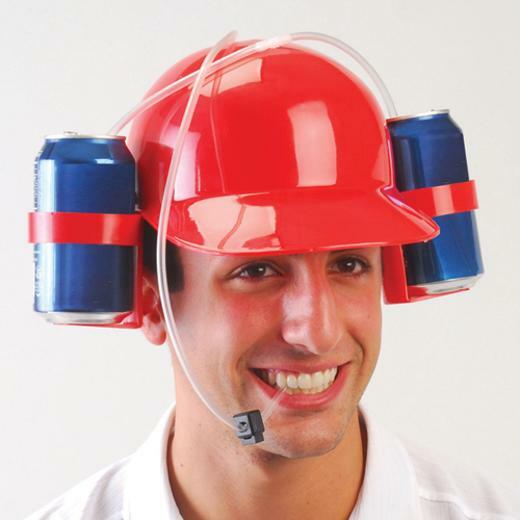 These funny hats feature dual cup holders with straws for quick drinking fun. Stock up on all your costume accessory and hat needs with US Toy. We have a wide selection of novelty, career, costume and whimsical hats to suit any occasion. You'll be sure to find the right hat for your next party or costume with US Toy. L: 15.5 in. W: 16.5 in. H: 5.0 in.